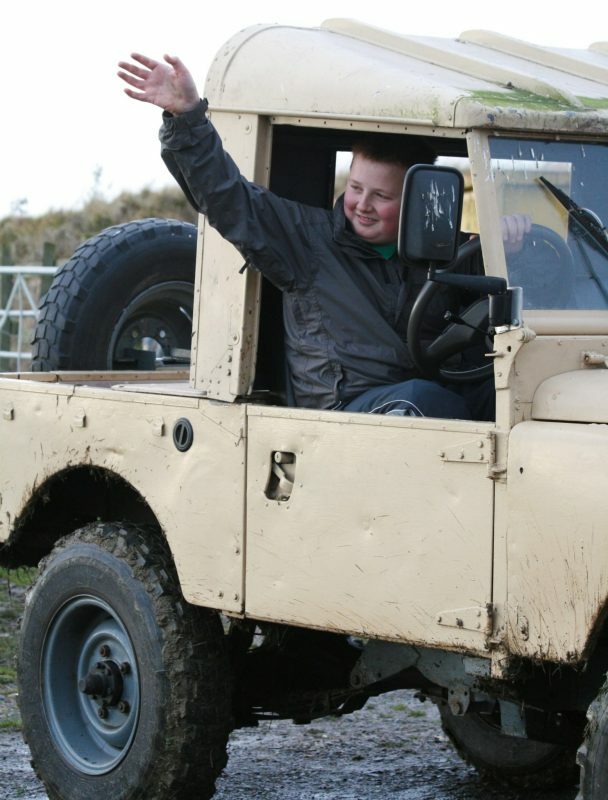 Leo McCourt who now runs the farm started at a very young age. 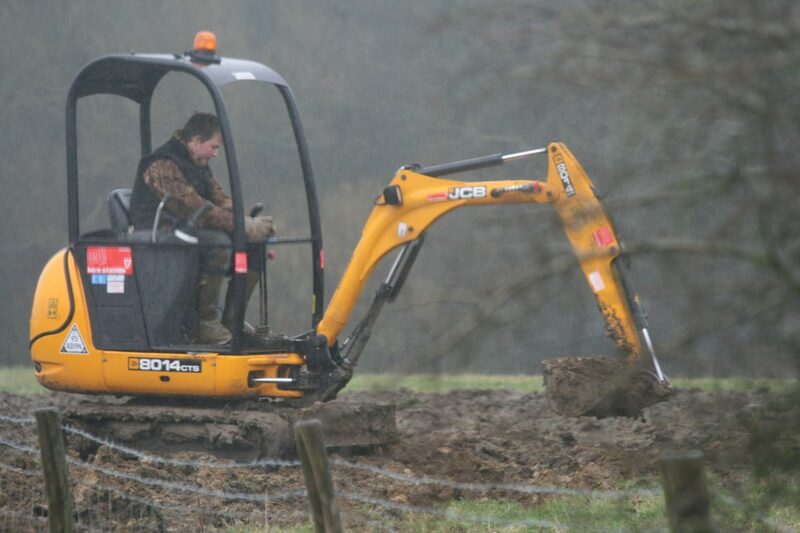 known by some as ‘The Tank’, from his rugby days, took over most of the day to day farming activities at the tender age of 16 and looks after all the livestock and machinery here at Northfield. He is particularly passionate about the Aberdeen Angus breed. Leo finished a two year course at Moulton Agricultural College, and even achieved a couple of merits. Leo is sometimes to be seen flipping burgers at some of our markets and festivals, but he is really happiest when working with our animals. 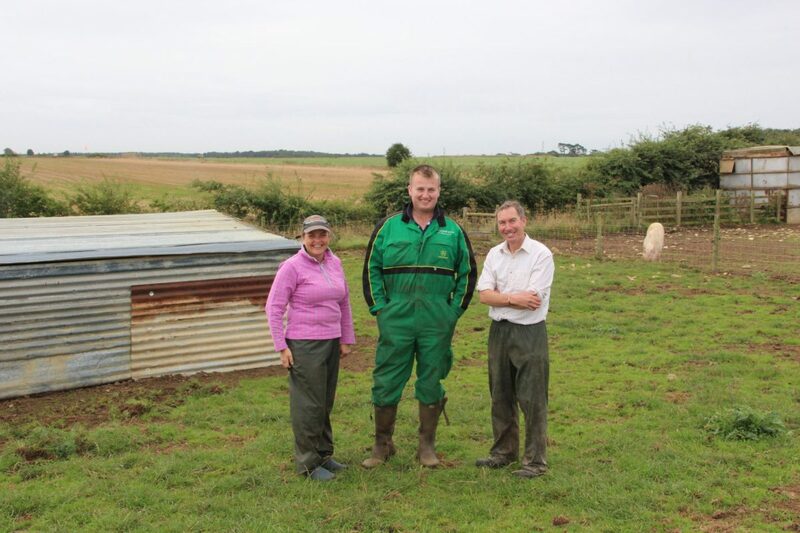 In addition to his work at Northfield he offers a range of farming related services to other local businesses and individuals. He is also to be seen at some of the festivals we do as well as at London’s Borough & Broadway Markets from time to time. Known for many years as one of the largest breeders of Dexter Cattle in the UK, we have also used Pedigree Aberdeen Angus Bulls which we believe has helped us produce some of the best beef in existence. While we no longer breed any Dexters, we currently use a very well bred Angus Bull called ‘Mr. 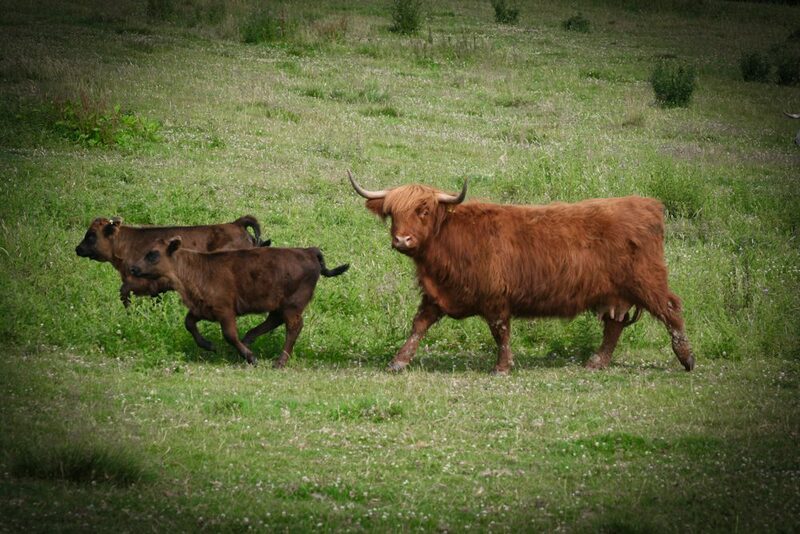 Angus’ to cover both our burgeoning herd of award winning Aberdeen Angus Cows, as well as our pedigree White Parks. The concept of consuming rare and traditional breed meat appears strange to the uninitiated. 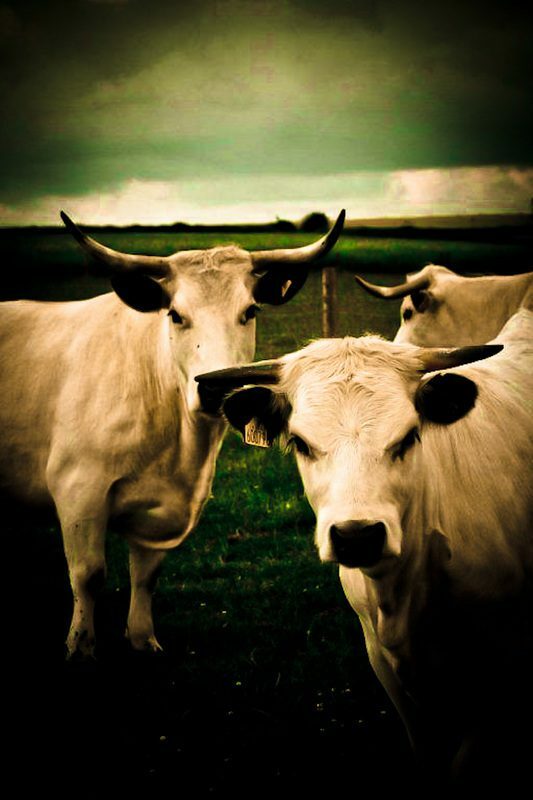 The majority of those breeds, which have become rare or ‘traditional’ are the old farm animals, which were developed by our predecessors for their eating qualities. This process of development was once a gentle balance between old-fashioned husbandry and the advances of science. Since World War II, however, this balance has been increasingly destroyed. Achieving the lowest cost for the least effort in the quickest time became the sole preoccupation of most modern livestock production. Many of the food crises we have suffered over the last few years have been the direct consequence of this misguided policy of quantity, speed and quick profit over quality. 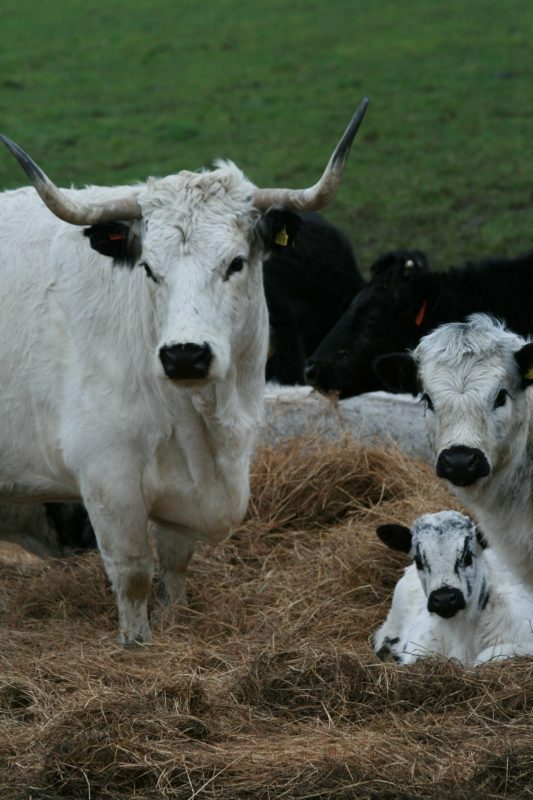 The old fashioned breeds are not cheap to produce, nor are they particularly efficient as they take time to mature but the quality of their meat is unrivalled. Many of you will have seen examples of these breeds on BBC’ Countryfile under the stewardship of Adam Henson and his father Joe. 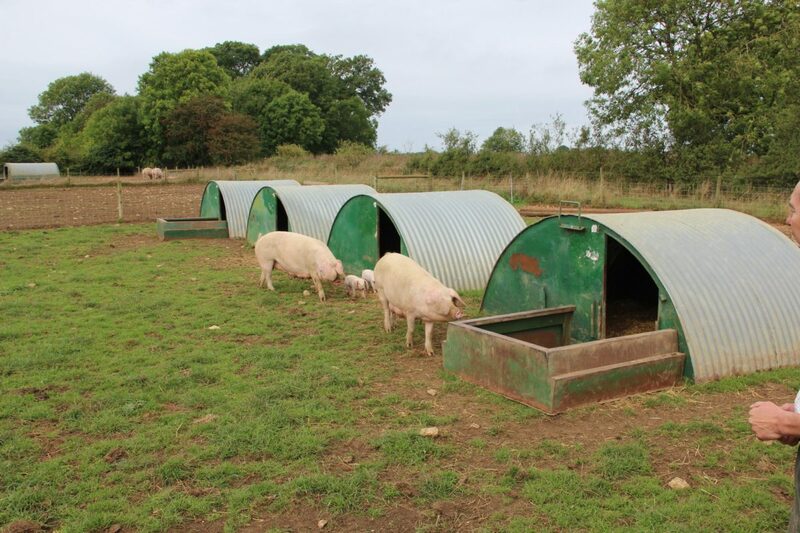 Thanks originally to the efforts of the Rare Breeds Survival Trust and the support of the countless smallholders and their supporters, the core of our declining agricultural and culinary heritage has been saved. 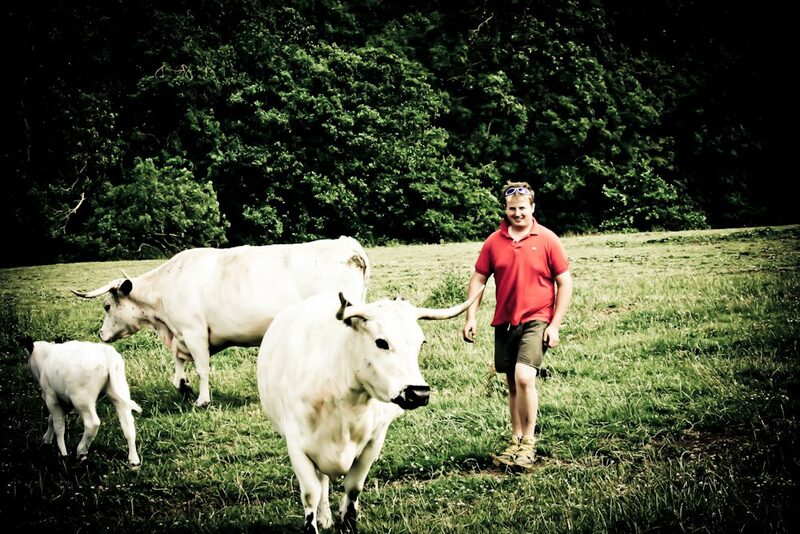 Our principal aim at Northfield Farm is to source and produce premium quality Beef, Lamb and Pork, which has lived well and has been humanely killed. We hang our meat carefully and appropriately and butcher it to provide the very best quality for all our customers. 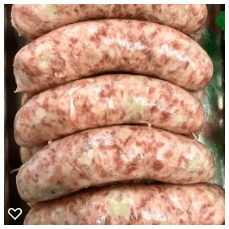 We have a small range of fantastic products which we create from these animals and which we produce in our on-farm production room and butchery. We are a small family business made up a long-serving team of people who are passionate about giving you the best possible food and service we can. 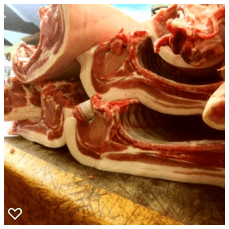 In addition to using our own home bred animals we source the best British, Scotch & Irish meat we can find in the form of whole carcasses and primal cuts. This is especially the case where customer demand is concentrated on a small number of prime cuts such as steaks, which we cannot possibly satisfy from our home bred stock. Northfield Farm straddles the Rutland/Leicestershire border midway between Oakham and Melton Mowbray. When the McCourt family first moved here in 1994 members of the more conventional farming fraternity observed our herd of small Dexter Cattle with some amusement. They were, however, the foundation of our business and while we no longer breed them, we occasionally source wonderfully finished Dexters from local breeders. We also source fantastic Longhorns, Lincoln Reds, Shorthorns and other traditional British breeds from superb farmers in the East Midlands. 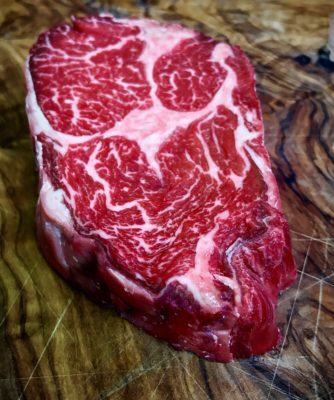 From time to time, we also offer Wagyu and Wagyu cross beef. Having concentrated our resources on building up our cattle numbers over the last few years, we have started to build towards a flock of around 100 breeding ewes. We have chosen Scotch Halfbreds, Cheviot crosses and a few other combinations for our base flock. On these we plan to put Pedigree Hampshire Down and Llanwenog rams to produce lamb, hogget and mutton of outstanding quality. 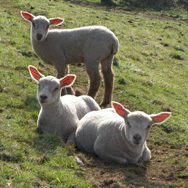 We also have a small flock of pedigree Border Leicesters, the local breed for our farm. One of our neighbours is a fantastic sheep breeder and has an abattoir on his farm. This means that almost all of the lamb we sell has travelled the shortest distance possible between our two farms to hang in our fridges. 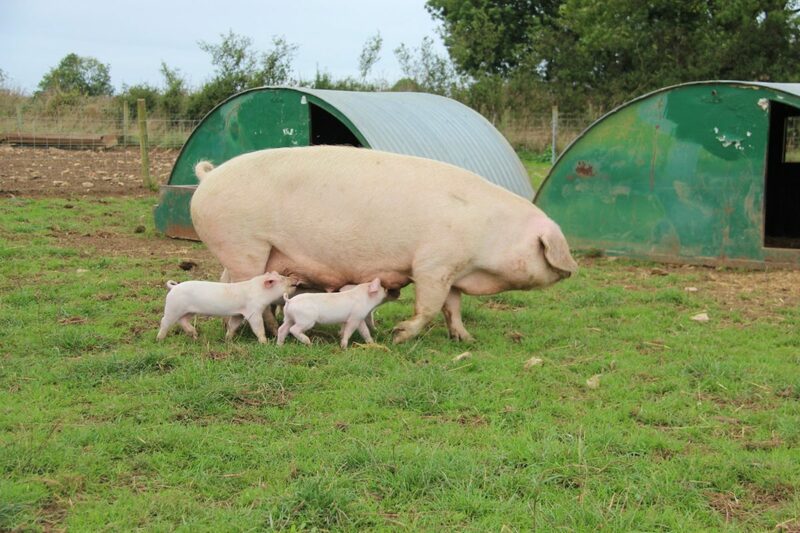 While we are not currently breeding any pigs, we have, in the past, bred Gloucester Old Spots & British Lop pigs, Britain’s rarest breed pig. The British Lop is a large docile, lop eared, multi-purpose pig. A very hardy breed they can be kept outdoors all year round. 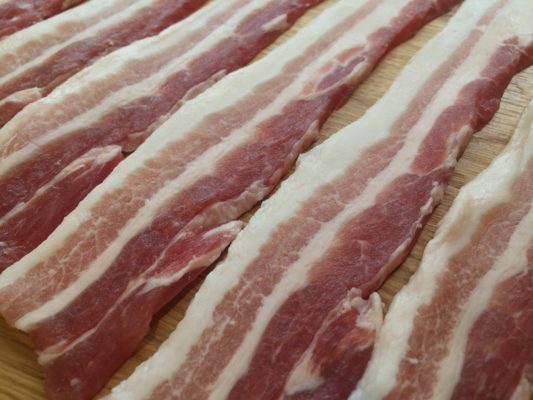 The purebred is suitable for both pork and bacon production. 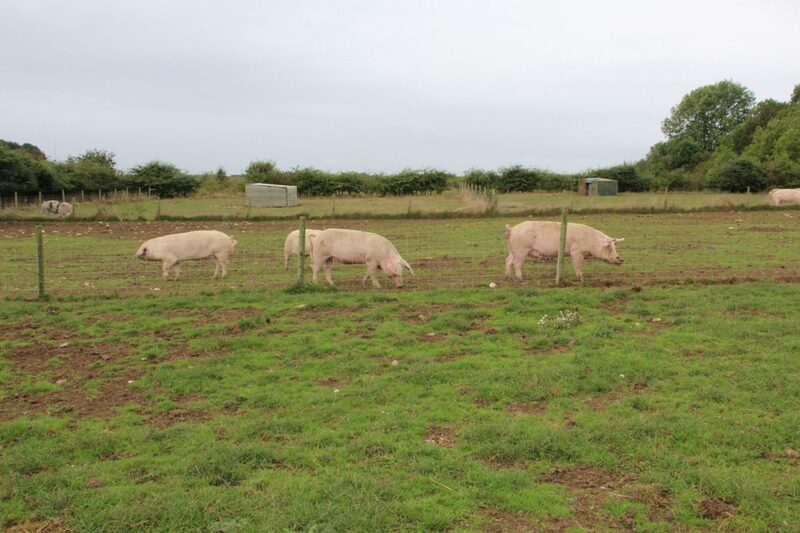 Our main source of pork comes from a local farmer called David Copley, Based in the small village of Saltby, Leicestershire, they are outdoor bred and free to roam. 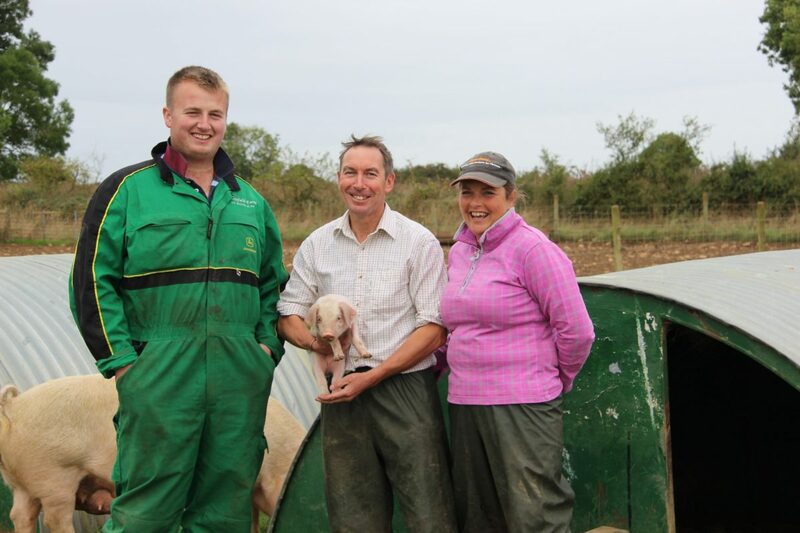 The majority of pork we have from them is British Lop but he also farms Pietrains & Duroc. We hang our pork for upto a week before butchering to ensure flavor and tenderness.